Spring Sports Season is in full swing. Are you ready to support your team? 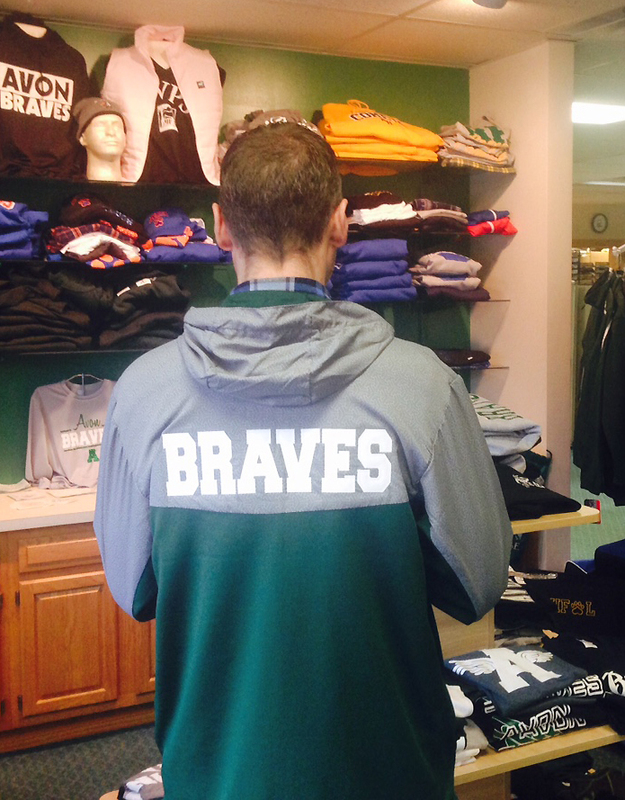 S&S Apparel has moved inside Penny Lane Printing! We’d love to see you. Stop by 1471 Route 15 in East Avon and see our latest designs, or call us at 585-991-8354. This jacket is one of our favorites. It’s perfect for spring weather, lightweight but still warm. Logo Umbrellas for dedicated fans. They are nice to keep in the trunk of the car. Fleece bleacher blankets with a water resistant back. These are washable and have a strap to keep them folded. Definitely a good gift for the Moms in your life. Hoodies, Hats, Koozies, Stickers, Umbrellas, Lanyards, Bags and Tshirts… Even Yard Flags. Our shelves are full of team gear. 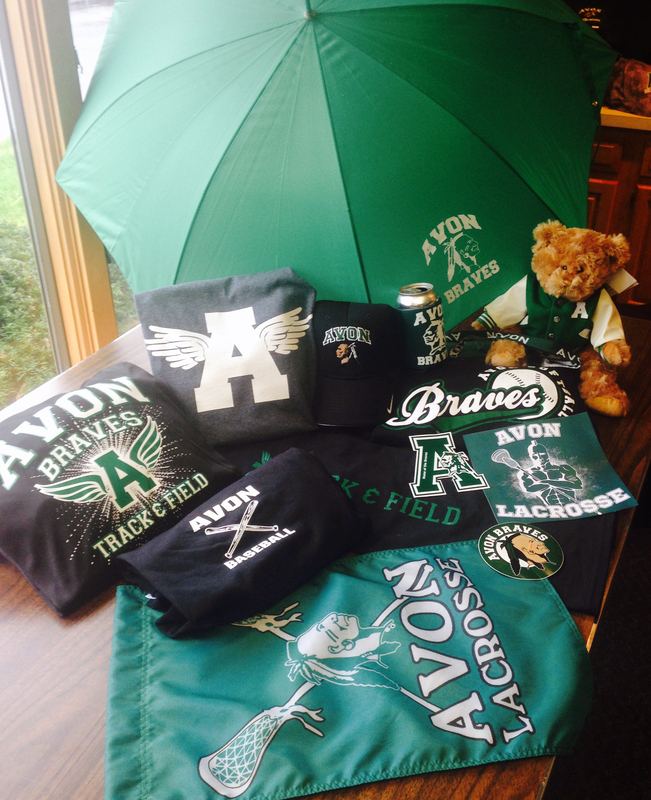 Good Luck to the Avon Braves this season!